Eclectic Blue have just delivered their self-titled debut album leaping into 2016 with an exciting and fresh blend of independent R&B/soul. Producer, Jae London, who helms the project and has assembled the expansive collective of musicians and singers involved, has made the album an early standout for the year and an album you’d be doing yourself a disservice to pass up. 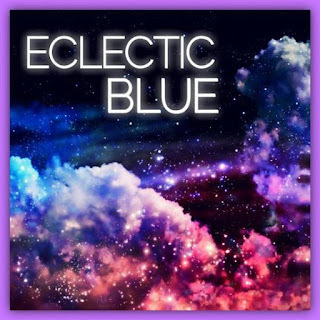 Ever since the group’s cover of the Luther Vandross classic ‘Give Me The Reason’ appeared in the inboxes of DJs and journalists amidst a mysterious puff of smoke, 15th January 2015 (followed by ‘Sunshine’ the month afterwards), with no ready-made explanation on the web of who ‘Eclectic Blue’ actually were, excitement quietly built for a full-length release which has now come just under a year later. Although it’s taken the time it has for the album to have seen the light of day, ‘Sunshine’ was exactly the type of song that would have fans (im)patiently waiting for more: the sublime horn-layered production accompanied by the vocals of Chris Turner proved to be the perfect appetizer for what was to follow. The album is packed with many of London’s long-term friends and collaborators including Turner, who also appears on the vast majority of the album’s songs, along with additional vocals throughout by the excellent Kimberly Marshall, equally shining any time she’s featured. There should also be a lot of excitement to see the immensely talented Saunders Sermons appearing on the jazzy ‘Neo Soul’ and the interlude ‘Tyneshia’s Melody’. Famed trombonist Corey King appears on the album as does saxophonist Kenneth Whalum… it genuinely is an album brimming with talent. Standouts throughout the album include, naturally, the aforementioned ‘Sunshine’ and ‘Neo Soul’, as well as ‘Eclectic Blue’, ‘Love Has Come Around’, ‘Paradise Indigo’ and the brilliant back-and-forth between Turner and Marshall on ‘Please Be Kind and Rewind’. If you’re a fan of the music here, make sure you check out Jae London’s The Discovery Album (released in 2010) as well, which features Chris Turner, Saunders Sermons and Kimberly Marshall along with other singers and many of the Eclectic Blue musicians delivering another stellar range of excellent R&B and soul.